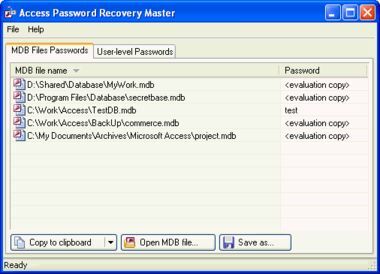 Access Password Recovery Master is the program that helps the user to recover lost or forgotten passwords for the MS Access database files (*.MDB) as well as user-level passwords stored in the workgroup information file (*.MDW). 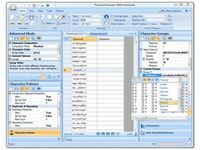 MS Access is one of the most popular database programs used in millions of offices worldwide. Password protection is an important feature that limits access to authorized personnel only and prevents strangers from obtaining confidential data. Unfortunately, people do lose or forget their passwords, making it impossible to access that data. Luckily, it does not mean that the data is lost forever. 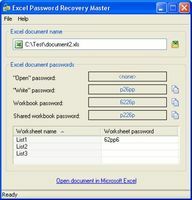 Access Password Recovery Master does exactly what the name says ? recovers passwords for protected Access databases. The program recovers both database (*.mdb database files) and user-level passwords (*.mdw workgroup information files). The software automatically finds recently accessed *.mdb files and, if it is password protected, displays file name and the password for it. User-level passwords from workgroup information files (*.mdw) are restored in a similar manner. 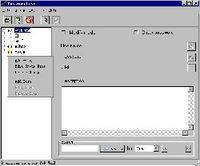 The software is extremely simple. The retrieved information can be stored in the formatted text file or copied to clipboard. Importantly, the program is capable of recovering passwords containing non-English characters as well ? a feature that not all password recovery applications offer. System requirements: All versions up to MS Access 2003 are supported.